He showed off his chip game on hole No. 8. Woods hit his drive to the left of the green. He then took a swipe through the rough, chipping the ball over a bunker and onto the green. The ball rolled right into the hole. Tiger then turned around and threw it into the crowd. "It's a real treat," Manning said during the round, according to the PGA Tour. "It's great to see him out here. It has been a couple years since he has been back to this tournament. Obviously you see a lot of people out here that want to see him." "He is playing great and an unbelievable chip in back there on No. 8. It looked like an impossible lie to the amateur and appeared to be an easy shot for him and chipped it in. He's a great host. Here with a couple other Nationwide employees and customers and having a lot of fun." Thousands of golf and football fans flocked the perimeter of the Jack Nicklaus-designed course trying to get an autograph. Woods has a tee time of 8:26 a.m. on Thursday for the Memorial. He is grouped with Justin Rose and Jason Dufner on tee No. 10. Manning said that he can related to Woods coming back from an injury, referencing how he dealt with a neck injury at the end of his career. 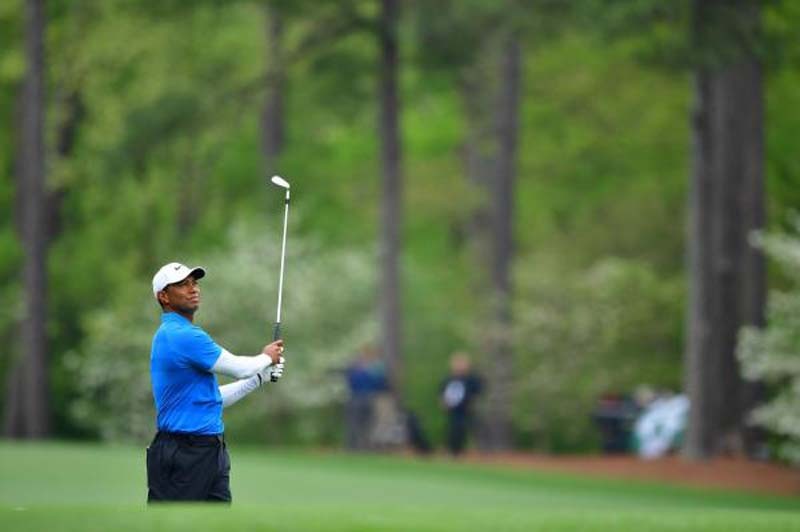 Woods has battled back from back fusion surgery is now ranked No. 83 in the World Golf Rankings. "It's about being flexible, being adaptive," he said. "I couldn't throw the ball the same way after my injury. But you learn to use your experience and football intellect. Obviously, that's what he's dong. He's adjusted his game, his swing, using his experience and using other parts of his body to get some strength and power. Like I said, for a golf fan, it's great to see him back out here - - and he sure is hitting the ball well today." Woods won the Memorial in 2012, 2009, 2001, 2000 and in 1999. "The last few times I've had a chance I've felt very comfortable," Woods said, according to his website. "Hopefully I can shoot the low round when I need it." Nicklaus touched on Woods winning again after watching him in Dublin. "I wouldn't be a bit surprised to see Tiger win this week," Nicklaus told reporters. "Not at all. I think he's playing well. I think he loves the golf course. He has always played well here. His remembrance of what he has done here will come back into his head. That will help him play better."